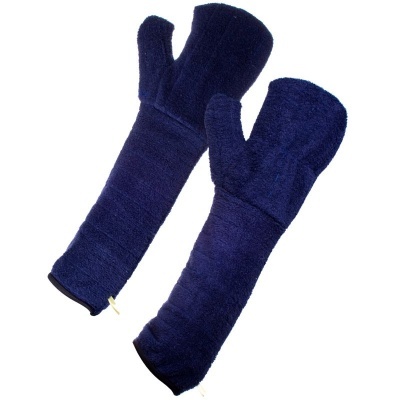 The Supertouch 31014 Terry Cotton Mittens - 45cm provide excellent general barrier and contact heat protection. With a comfortable design and Level 4 tear resistance, these gloves are ideal for kitchen work. The Supertouch 31014 Terry Cotton Mittens are available in a universal design that should fit most adults.